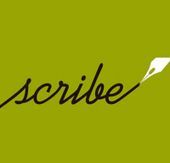 Musings and findings from the editors of Scribe, the Forward’s curated contributor network. Israeli actress Ayelet Zurer has joined forces with People for the Ethical Treatment of Animals for a new anti-fur campaign. “We are in 2018, and it just doesn’t make any sense that people still buy fur when they can buy the same thing made out of man-made fur that looks exactly and feels the same,” Zurer says in the film. Many big name brands such as Calvin Klein, Michael Kors, and Ralph Lauren have stopped using fur in recent years after facing pressure from consumers and activists alike. Are Anti-Fur Protesters Hopelessly Out-Of-Touch? This story "WATCH: Israeli Actress Stars In PETA’s Latest Anti-Fur Campaign" was written by The Scribe.